Overwhelmed? Express it visually with head blow up effect. Sometimes people or events are so unbearable that we are ready to burst. 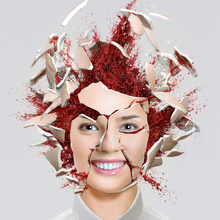 Try a fun way to sublimate this feeling - create a ‘head explosion’ photo manipulation out of your face picture. Nice effect for a Halloween night, though. 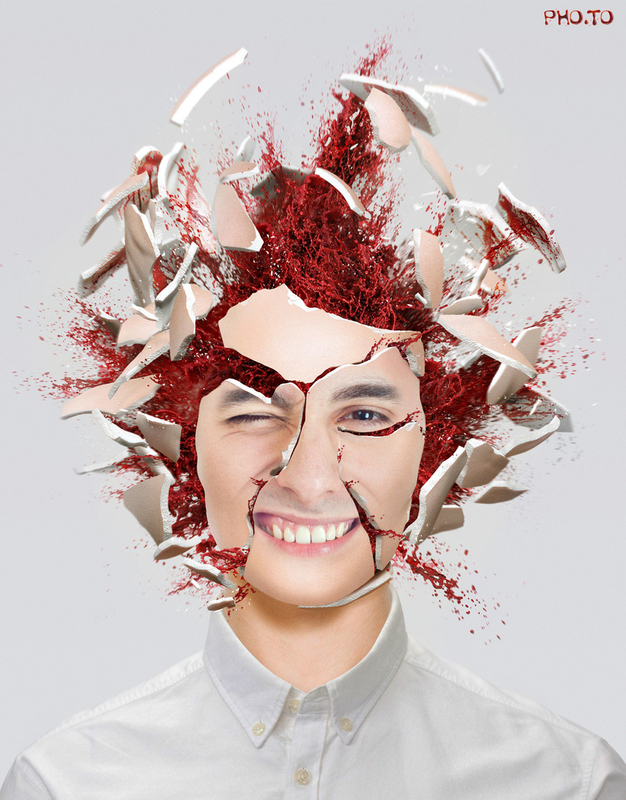 Make an emphatic picture using our ‘head explosion’ effect, which clearly expresses your state at the moments like these. This rather scary image will throw cold water on your irritator. Want to try on other scary looks? Well, we have a set of zombies, demons, vampires and monsters at our ’Scary Face Effects’ page. Attention! Children and people with delicate sensibilities are better to keep out.